Creek. I was putting my ferret and rat cages in my new light green room that was on the 2nd floor of my new house. Skittles started scratching on the cage. I looked over at her and I noticed a small button on the wall near her cage. I pressed it and a door opened near my bed. I got a flashlight and a jacket and went into the secret tunnel. When I got in I saw stone walls with lit torches on them and a dirt floor. I saw a brown door. I tried to open it but it didn’t open. I saw another button and pressed it. A key came out of the wall. I picked it up and put it in the lock on the door. I turned it and the door opened. “Wow!” I said as I stepped in to a paradise for ferrets. I saw moving rivers, giant trees, lots of swaying grass, dazzling flowers, and the best part of all happy ferrets and a big pool. I could not believe my eyes. I closed the door, ran up the tunnel and found my dad. “Hey Dad! 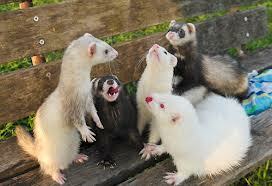 Did you know there is a giant room full of ferrets?” I asked. “Yes, and I hope you like it,” he said. “Yep,” he said in a good mood. “Okay mom. I’m almost done!” I only have one box left to unpack, my earrings. I think I’m going to love our new house. “Mom, did you know my wall is cracked?” I yelled. No answer from mom. I’ll just check it out really quickly. I grabbed my flashlight and started to explore. As soon as I walked through the crack, I looked down and could see my house. It was much smaller than I thought it was. I looked all around and realized that I was in space. A shooting star went by me so fast. I could not believe my eyes! I better get back before mom notices I’m gone. As soon as I get back to my room I ran downstairs to let mom know. “You will never believe where I just was!” I said. I told mom everything and I was right. She did not believe me. As soon as I start my new school and make new friends, I will have the best slumber parties ever! But until then it will have to be my little secret. I heard the moving truck stop while I was in my dads green Lamborghini. I entered my new house. I was fixing my game console so I could play Mortal Kombat on my PS3. I found a crack in front of me, but I ignored it. After playing awhile, I stopped and grabbed my tools and flashlight and went in the crack because I was bored. I found a scorpion on the ground. I put on my gloves and touched it. He turned half human and half scorpion. He told me that Raiden the god of lightning turned him into a scorpion. He showed me his secret lair, and his pet was a big 5 foot high scorpion. He showed me his other costumes. Also scorpion put me on a bed and gave me powers like him. We went hunting in the city. I used my scorpion power and then we heard laughter. “WHOAA!” I said when I walked into my giant house and my new room. I was putting up my Baltimore Ravens collection and I noticed that I had a crack in the ceiling. I opened up the crack and it was dirty in the first part of it. I went and turned and found a portal to another world. The portal was awesome! It was blue, purple, and white. I go in the portal and discover the awesome world of CAPTAIN UNDER PANTS! I look around and there I see Captain Under Pants beating up Dr. Tinker Trousers. I find the robot of Dr. Tinker Trousers and bring it home without him knowing. When I get home I bring the robot to my mom and my mom says I can hide from my brother and my four sisters. I go in the robot and it has a bedroom, kitchen, TV, and an Xbox 360 inside. My mom can’t get me out because it is so much fun inside the robot. “Jonathan,” said my little brother. I had to open the door so my little brother could come in. “What is that?” said Jonathan. “It’s a cave,” I replied. “Ok fine,” I answered. I put on my boots, sweatshirt and grabbed my flashlight, too. We rushed in!! We walked and walked until we came to a sign that said, “CAUTION! TIME TUNNEL AHEAD!!! !” We hesitated, but my brother wanted to go farther so we did! Whoosh! We went in the time tunnel. “WOW!” said my brother and I. We were in THE ICE AGE!!! My brother and I saw awesome animals like the saber toothed tiger! We also saw Native Americans hunting a mammoth. “What?” I said. I turned back and saw a saber toothed tiger! My brother and I ran as fast as we could. We went in the time tunnel and traveled through time back home. I pushed the button and the cave was closed. I was happy were safe at home! I couldn’t believe my parents threw me a surprise party! They invited two of my favorite characters, Greg from Diary of a Wimpy Kid, and Niki from Dork Diaries. I knew this was going to be the best party ever. “Whatever Greg,” said Niki. Niki and Greg would not stop fighting. I knew Niki was going to say something so I quickly said, “Niki, why don’t you pick the game? We will take turns picking.” Niki picked Freeze Tag. Everyone had a great time playing Freeze Tag. Greg liked taking turns picking. Niki is happy that Greg isn’t saying “I’m going to be rich and famous” or that he should go first because he is the most important. I’m so glad everyone was finally able to get along and have fun at my party. It was the best party ever. I could not believe my eyes. My two favorite fictional characters were in front of me! Charlotte and Greg were getting along pretty well but something got them kind of mad. They saw my chocolate ice cream cake – Greg’s and Charlotte’s favorite. They were both fighting over it and I had to do something. We all know people are stronger than spiders so eventually Greg was going to have it. “Stop!” said Greg because he wanted the piece of chocolate cake. Luckily Charlotte does not get mad, but she was sad. I tried to get a bug that was on the ground for her. Charlotte felt better. We played tag, hide and go seek and Charlotte was with Greg all the time! It was the best birthday party ever! “Surprise!” shouted my friends and family. I saw my birthday party in a huge ballroom. I walked in and smiled. I was really excited. My friends and family said, “Happy Birthday!” really loud. I thought it would be the best party ever when I saw my two favorite fictional characters – Charlotte and Greg were there. When I was talking to my dad I saw Charlotte at the lunch table. I went over to Charlotte. “Hi!” I said. I told Greg, “We have another game and you might win that one. So, we started playing freeze dance. After that we broke the horse piñata, and ate an ice cream cake and had lots of fun. I had the best party ever. “Happy birthday!” my friends shouted when I walked into the park. I looked at all of my friends and a few balloons labeled Happy Birthday! I beamed when I saw my two favorite fictional characters – Mallory and Junie B Jones. This was going to be the best party ever! Our first activity was Pin the Tail on the Donkey. Since I was the birthday girl I got to go first. I had to blindfold my eyes and pin the donkey’s tail. I picked Mallory to go next and that’s when the trouble started. Mallory had trouble seeing. I told her that’s how the game works. Then Mallory peeked just a little. “Oh No!” I said to myself, “If I don’t calm Junie B down she won’t stay.” I went over to Junie B and said, “Let’s play bobbing for apples.” Mallory wanted to play too. We all bobbed for apples and Mallory didn’t cheat. Junie B was happy and we all were friends. We ate cake, opened presents and won prizes. Everyone had a good time. My party was the best party ever. I thought my mom was taking me for an ordinary walk to a playground but she went in the other direction to the county park. We went in. “Surprise!” It was my birthday party. There were red, bright blue, yellow and green balloons. I also saw a big sign that said “Happy Birthday”. Then I saw my two favorite fictional characters, Jay and Dave. I beamed with joy. I am going to have the best party ever! It was time to play Limbo! We were going to play some music. So I turned the music on. “Fine,” said Dave,…”but when somebody wins, we will do another round and that time no talking and no music.” We played the game and Jay won. We played again with no music and no talking. “Time for yummy lunch,” called my dad. We all had cheeseburgers with lettuce and carrots on top and potato chips with salt and vinegar. We also had fruit punch to drink. When we were done we were going to play Pin the Tail on the Donkey! Jay was extremely mad! I told Dave to stop saying no talking or I was going to kick him out of the party. Finally Dave enjoyed the party and didn’t say, “No talking.” And I had the best party ever! “Happy Birthday!” shouted my friends and family when I walked in the venue blindfolded. As I walked in I saw all of the girls. After I greeted all of my family and friends I saw Clementine and Kristi, my favorite fictional characters. I was so excited to get the party started. Kristi and Clementine really wanted to win a medal so they raced to the dance floor. Kristi and Clementine busted out some good moves but there could only be one winner. When my mom announced, “And the winner is Clementine,” Kristi didn’t wait until my mom could finish and ran off crying. I ran to go get her and told her it was a tie. She and Clementine both got a medal. I told my dad to pump up the music and Kristi, Clementine, and I danced all night. My birthday party might have its ups and downs but it was still the best birthday ever! Would you like to see a real pioneer? If you do you might like to see Davy Crockett like I did. Davy was at the Alamo because he wanted to defeat the Mexicans. Davy volunteered in the soldier army. There were at least 180 soldiers and the Mexicans had 3,000 soldiers. I was in charge of the Texas army and Davy was a rebel. I told them we can win this battle and beat the Mexicans for good. Would you like to be brave and explore underwater? If you do, then you might like to spend a day with Jacques Cousteau like I did. One day I put on my goggles to go see the underwater creatures and plants. Then I went deeper in the ocean with brave Jacques Cousteau. I saw more beautiful sea creatures and plants. I saw sea horses, fish, crabs, and a little octopus. I saw a coral reef. It looked beautiful. The fearless Jacques Cousteau and I spend most of our time exploring underwater. It is so pretty underwater. Jacques said, “We must go see for ourselves.” When he saw something moving, it was just some fish eating algae. It was really colorful being underwater. It looked like I could stay there forever. This was my best day ever. 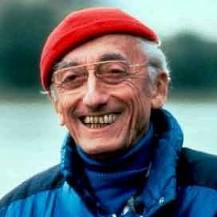 I wish I could go underwater again with Jacques Cousteau. Until that day, I will learn as much as I can about underwater sea creatures. 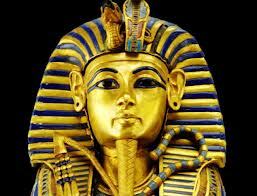 Would you go back in time to meet someone who is hard-working? 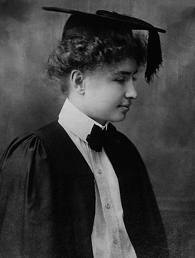 Helen Keller is famous for a lot of things, but one reason why she is famous is because she was the first person who was deaf and blind to graduate from college. I spent the day with her when she graduated.